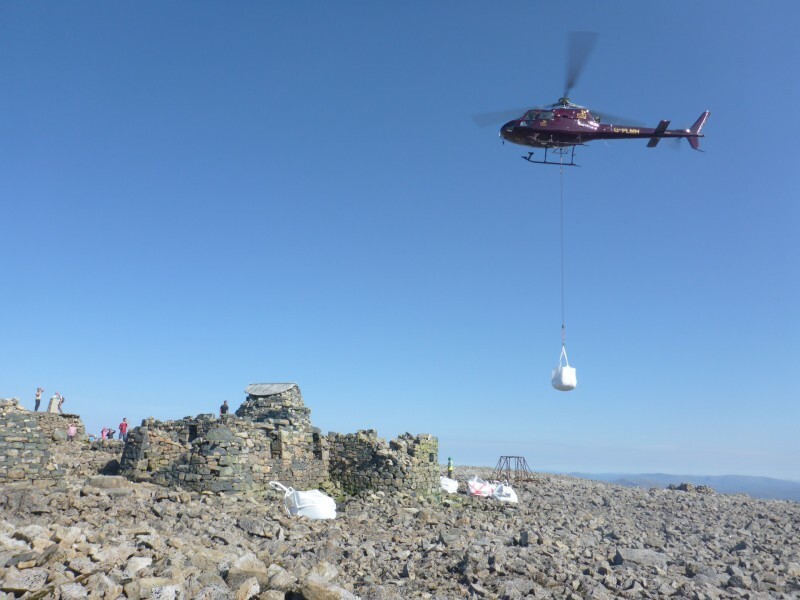 The official height of Britain’s highest mountain has risen by a metre as a result of a new Ordnance Survey measurement made possible by recent summit repair work carried out by the John Muir Trust and the Nevis Landscape Partnership. The work included restoration of the base of the triangulation point that had become hollowed out and unstable because of the double impact of the weather and its popularity as a platform for people to stand upon for photographs. After its sides and steps were rebuilt, Ordnance Survey was able to mount a sophisticated satellite positioning receiver on top of the structure. 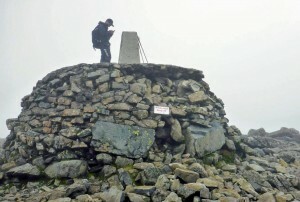 This in turn allowed the surveyors to record two hours of data from the highest point of the summit, providing a more exact measurement than was possible back in 1949 when the height of Ben Nevis was last measured. 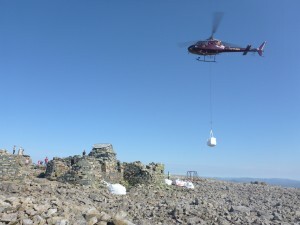 The recently completed restoration work on Nevis also included the improvement of three kilometres of footpath, the upgrading of 16 of the 23 navigational cairns on the Ben, and the cleaning up and repair of the summit shelter.